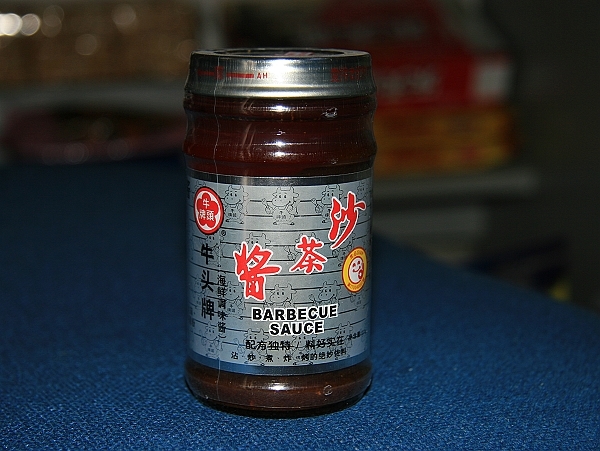 Shacha sauce (also spelled sa cha sauce) or paste is a Chinese condiment primarily used in Fujian, Chiuchow, and Taiwanese cuisines. It is made from soybean oil, garlic, shallots, chilis, brill fish, and dried shrimp. It has a savory and slightly spicy taste. Left: A jar of commercially available shacha sauce.